Lambanog or distilled coconut may be the Philippines’ unofficial national spirit, but gin bilog (or lapad or kwatro-kantos) is a close second. Drunks usually empty the round-shaped (or rectangular- or square-shaped) Ginebra San Miguel gin in a cocktail called gin pomelo, gin pom for short. It’s probably most Filipinos’ (especially those who weren’t born with a silver spoon in their mouth) first cocktail ever, before the margaritas, because it’s damn easy to prepare—just mix gin and some powdered pomelo juice. 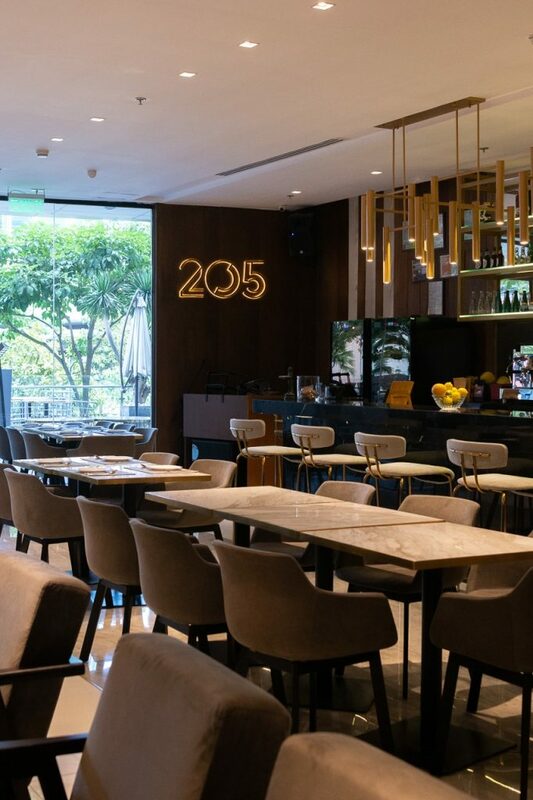 If you’re one of those wistful tipplers, then 205 BGC is for you. It’s a bar that serves a refined version of gin pom (which they call Gin Pomplemousse) at Bonifacio High Street. It’s a refreshing drink with fresh grapefruit, a little lemon to balance the bitterness, grapefruit liqueur, yellow chartreuse, and of course, gin. Engel Martinez, one of the owners, says that the recipe came from a mixologist at The Curator. 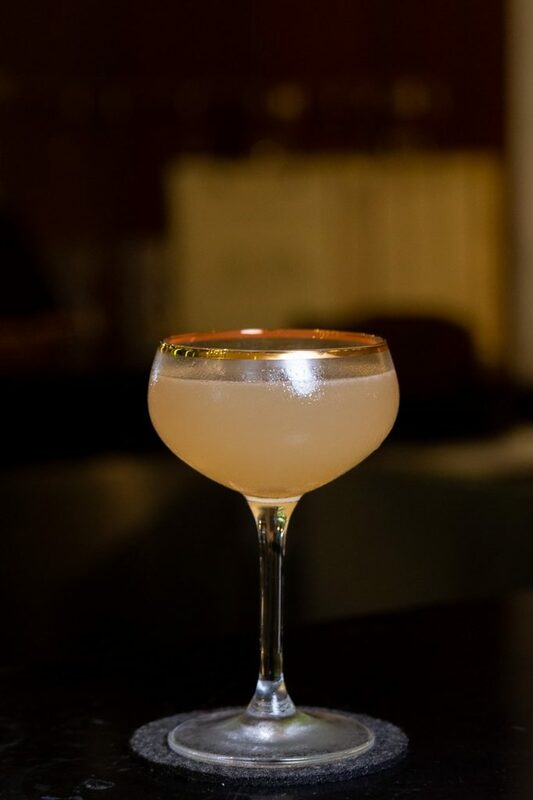 One time, he and his friends challenged the mixologist to create a classic gin pom, and voilà. Fancy a fancy gin pom? Martinez is good friends with the people at The Curator, so he got Jericson Co, the man behind that café and cocktail lounge in Makati, as one of the partners. The two were in charge with the cocktails menu. 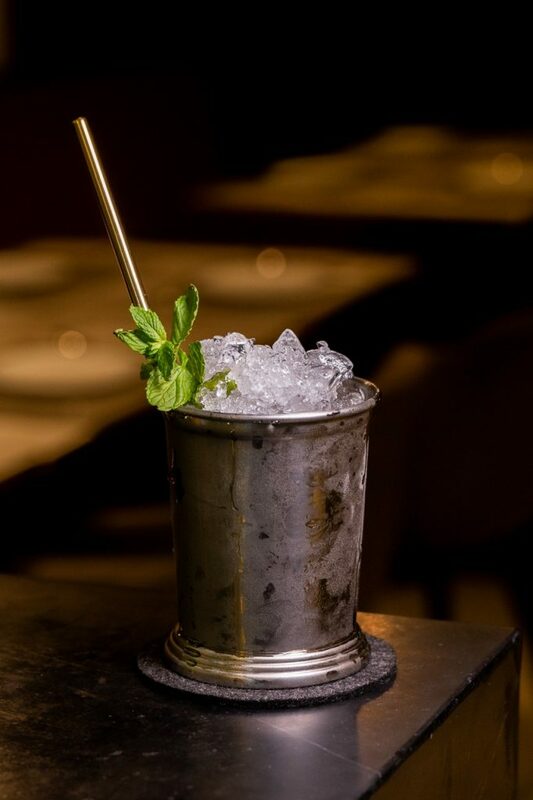 Aside from the gin pom, they also offer Moscow mule featuring their homemade ginger juice and a bourbon-based cocktail with fresh mint called Mint Julep. Need a rather strong but easy to drink a cocktail? 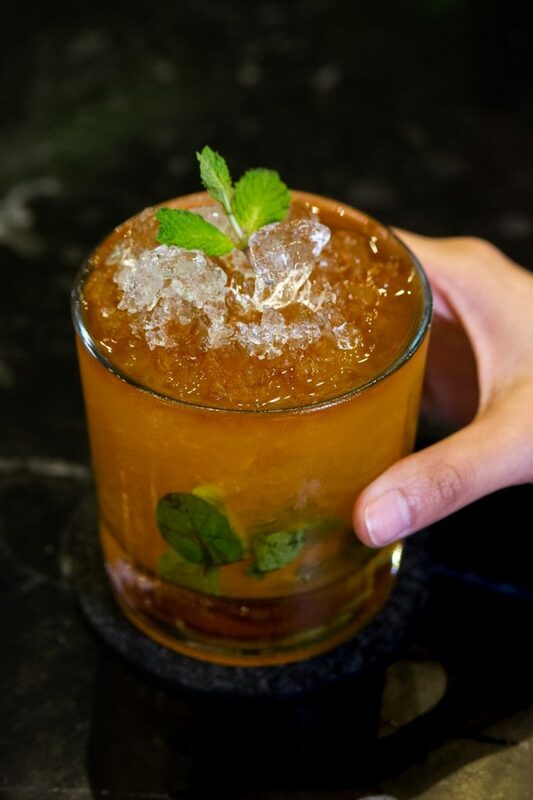 Try On Holiday made with dark rum, Angostura bitters, lime, and mint. “If you drank two to three glasses of this, you’ll get a hangover next day. But you don’t mind because you’re on holiday!” jokes Martinez. 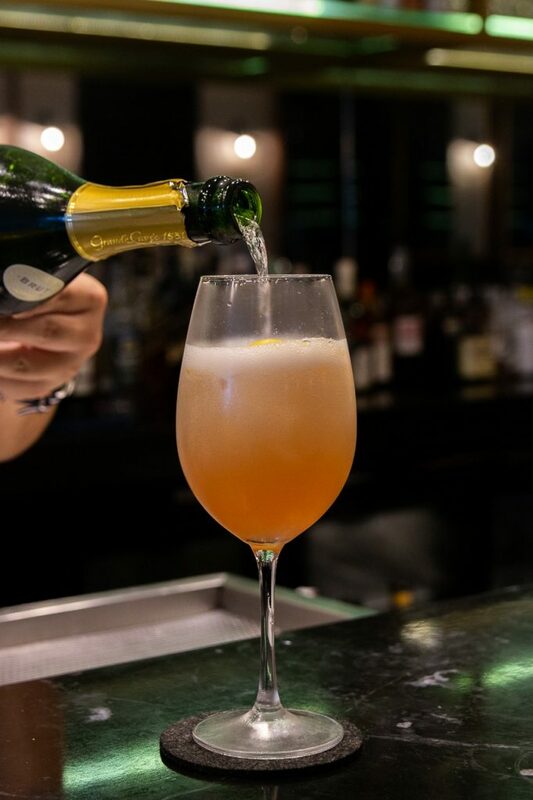 IDGAF, a bubbly cocktail named after Dua Lipa’s song, is sort of similar to gin pom but has a different personality. They use herby and fruity Campari and top the blush pink drink with champagne. Aside from well-crafted spirited concoctions, they also have craft coffee, sourcing beans from EDSA Beverage Design Studio. Their baristas are also trained at EDSA. 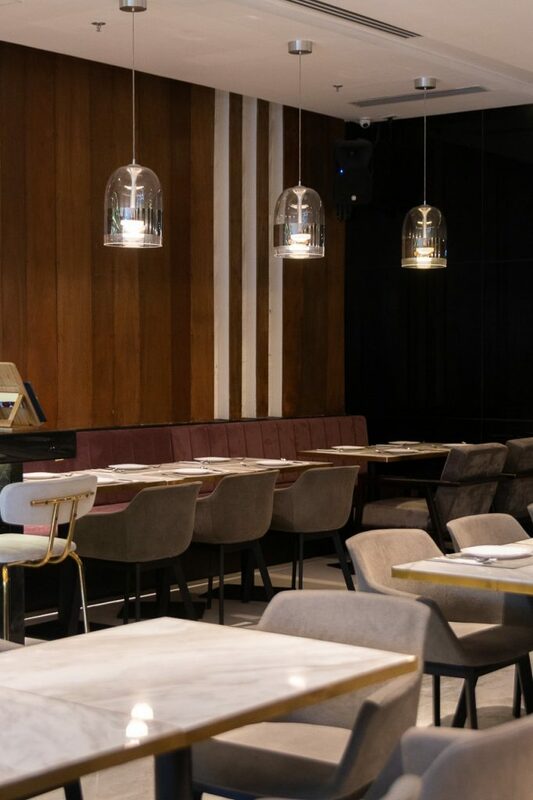 205 BGC has sleek and polished interiors, resembling a hotel lobby, with music that doesn’t mess with your conversations. 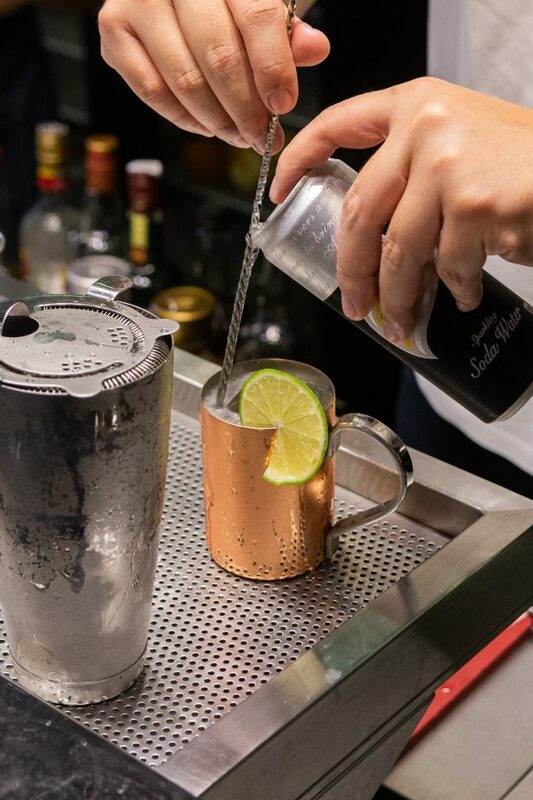 Pair the damn good crafted cocktails with 205’s equally damn good food care of David Sison of Mama Lou’s, another partner. 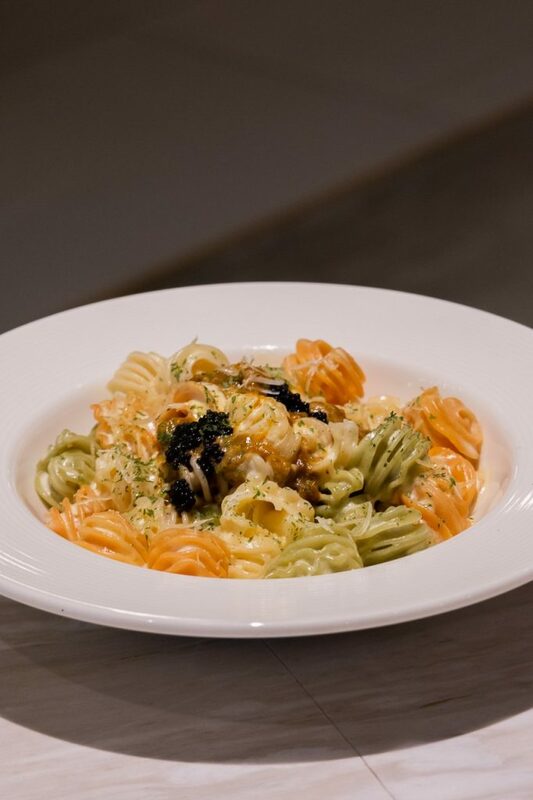 Most are Italian dishes like the creamy uni and caviar radiatori and spaghetti alla carbonara. 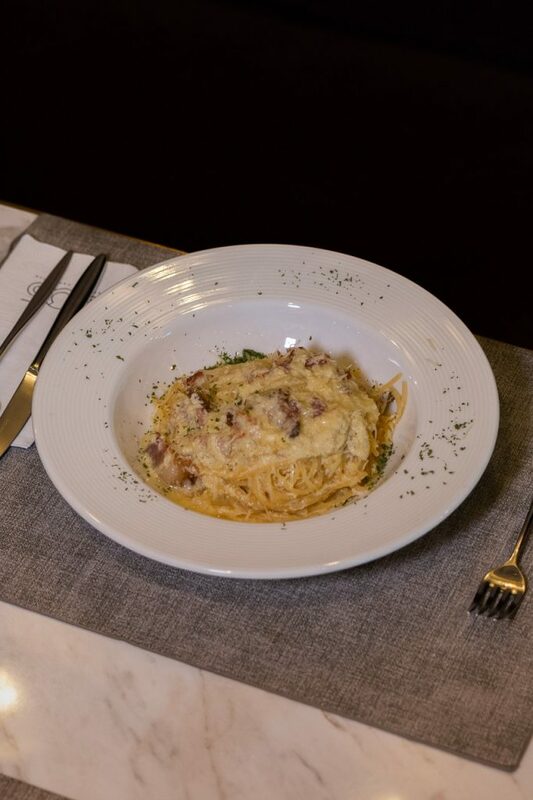 The carbonara is topped with chewy and fatty bits of guanciale or cured pork jowl, tastier than bacon. 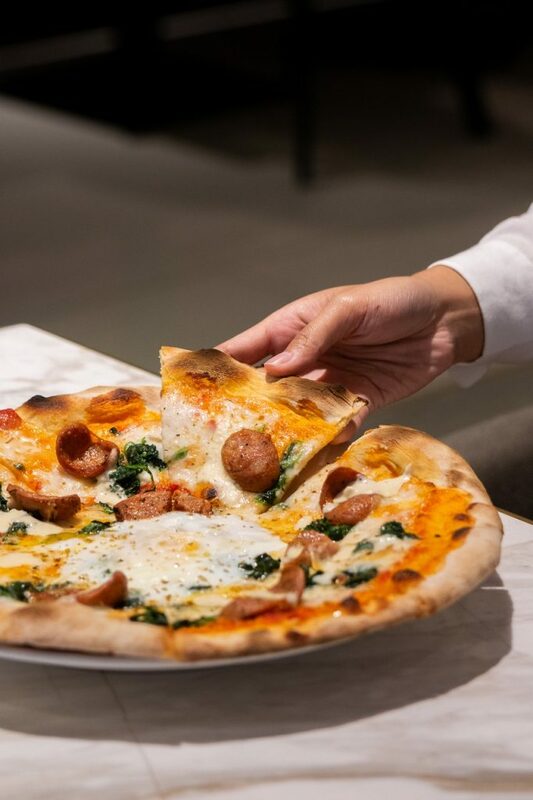 They also have breakfast pizza composing of sausages, eggs, spinach, and ricotta. They have a wide selection of wine you can choose from, too. And then pair your glass with a platter of Italian cold cuts. 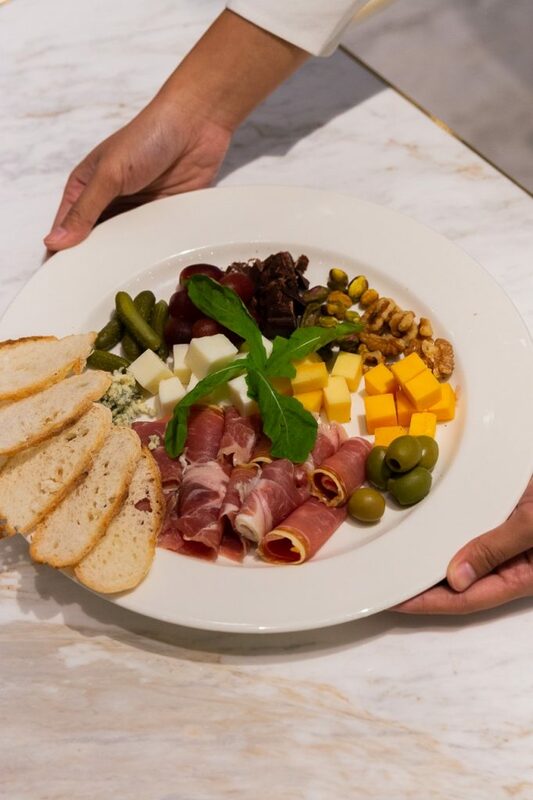 Try the prosciutto platter which has dry-cured ham, gouda, cheddar, mozzarella, blue cheese, dark chocolate bits, pistachio, walnuts, grapes, and olives. Martinez says they’re looking forward to expanding the menu this year, adding roasts and special brunch menus for the adults. 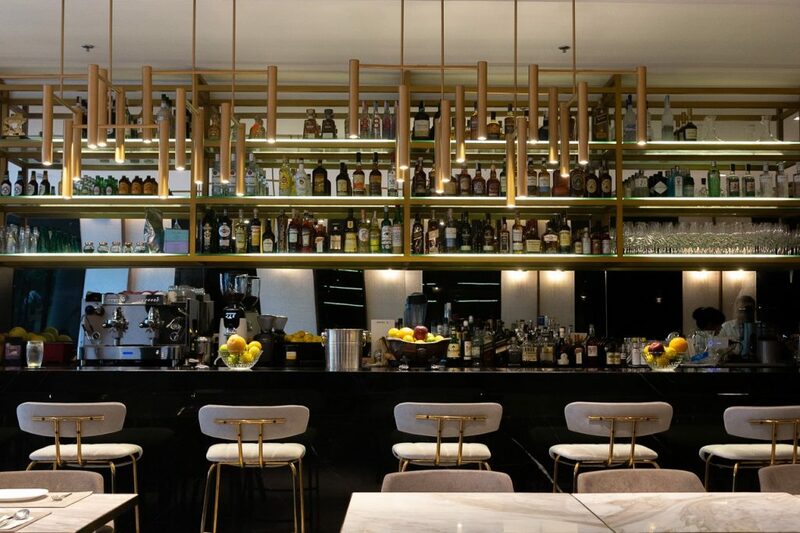 But for now, guests can revel in nostalgia with a gin pom and comforting Italian food.